Beware of scams!! Scams have become a huge part of our society. This is especially prevalent during tax season. In order to keep your information protected, you need to be aware of a few of the dangers. The IRS released its annual list of the top twelve 2017 tax scams. Read below and become knowledgeable in the process of deciphering what is real and what is false. 1) Phishing Schemes – These are fake emails or websites that trick taxpayers into providing personal information. 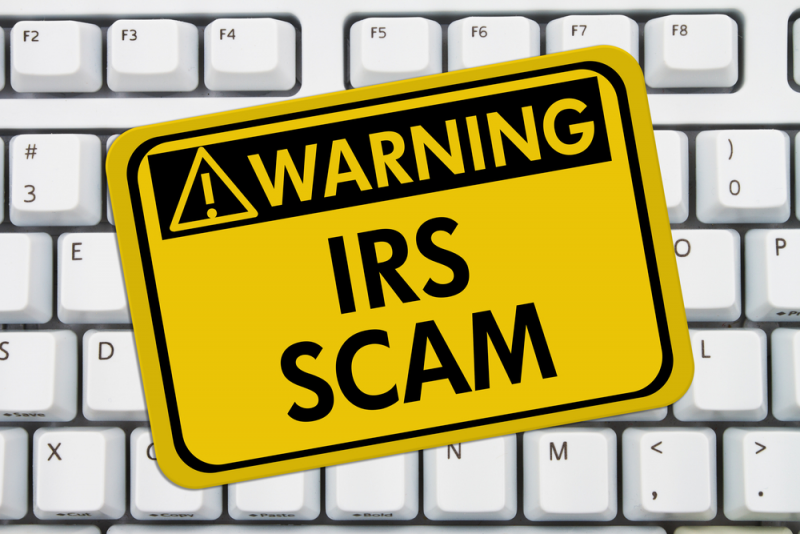 2) Phone Scams – People impersonating IRS officials over the phone. IRS contacts taxpayers through USPS mail. There are a few special circumstances the IRS will call or come to a home or business. This occurs when a taxpayer has an overdue bill, to secure a delinquent tax return or a delinquent employment tax payment or tour a business as part of an audit. You can read more about what the IRS does and does not do as far as reaching out to a taxpayer by clicking: https://www.irs.gov/uac/newsroom/how-to-know-it-s-really-the-irs-calling-or-knocking-on-your-door. 3) Identity Theft – Thieves file fraudulent returns using someone else’s social security number. 4) Return Preparer Fraud – A huge majority of tax preparers are credible. However, there are some preparers that solely perpetrate refund fraud and identity theft. Research your preparer before you give them your personal information. We, at Scott, Horewitch, Pidgeon & Abrams, LLC, are extremely reputable and would be happy to help you with your tax needs or answer any questions you may have. 5) Fake Charities – Be cautious as to where you are donating your money. Some groups pretend to be charitable organizations to attract donations. Some groups even use names similar to well know organizations in order to confuse you. Again, researching the charity is extremely important. 6) Inflated Refund Claims- Be wary of a preparer promising inflated tax refunds before looking at your information. Also, never sign a blank return! 7) Excessive Claims For Business Credits – Some taxpayers improperly claim credits that do not pertain to them. Two of these misused credits are the fuel tax credit and the research credit. The fuel tax credit is limited to off-highway business use as well as use in farming. The research credit has many requirements related to research expenses that need to be met if this is to be applied. 8) Falsely Padding Deductions On Returns – Taxpayers need to avoid falsely inflating deductions or expenses on their returns in order to pay less than they owe or to receive larger refunds. The most common inflated returns are: charitable contributions, business expenses, Earned Income Tax Credit and Child Tax Credit. 9) Falsifying Income To Claim Credits – When filing, be accurate and honest. You are legally responsible for the information provided. Do not inflate income just to qualify for tax credits. This is illegal and can lead to paying back taxes, interest, penalties and sometimes criminal prosecution. 10) Abusive Tax Shelters – The IRS is very involved in trying to stop tax avoidance schemes. Do not abuse tax structures to avoid paying taxes. 11) Frivolous Tax Arguments – Taxpayers have the right to contest their tax liabilities. However, if a taxpayer is making unreasonable claims, they can be penalized $5,000 for filing a frivolous tax return. 12) Offshore Tax Avoidance – Do not hide money and income offshore. The IRS offers the Offshore Voluntary Disclosure Program to help taxpayers catch up on their filing and tax obligations. Hopefully, after learning about the top twelve tax scams, you will become a more aware, cautious and knowledgeable taxpayer!! If you have any questions regarding these scams, please contact us at 847-850-5300. Do I Need An Accountant for My Small Business? Can I Deduct Expenses Related To My Vehicle? Do I Have a Qualifying Dependent? What is a Household Employee?